FINDING two previously unknown volcanoes would normally be cause for celebration by those mapping the sea floor in a remote and little-explored area. 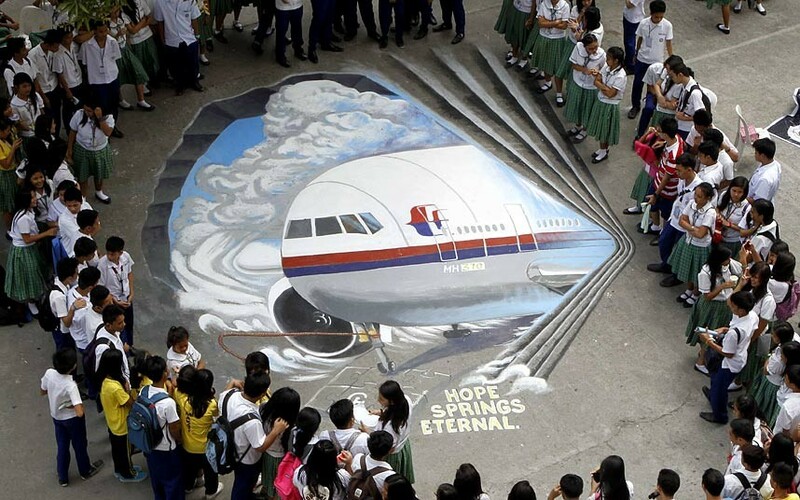 But not when the discovery is part of the effort to find the missing Malaysian Airlines flight MH370. The Boeing 777 disappeared early in the morning of March 8th on its way from Kuala Lumpur to Beijing, with 239 passengers and crew on board. Despite an intense air and sea search of the Indian Ocean to the west of Australia, where the aircraft is believed to have come down, no sign of it has been found. That may soon change, thanks to a confluence of breakthroughs. New analysis of satellite data has narrowed the area in which the aircraft might have come down from some 600,000 square kilometres to a 60,000 square kilometre strip of ocean, 650km long and 93km wide. A detailed survey of the sea bed in that area has revealed its contours (including the two volcanoes). This “contour mapping” will be used to launch a new and more intensive search with ships pulling through the water sophisticated sonar devices known as “towfish”. All this may help investigators find traces of MH370. It might even yield more clues about exactly what happened to the stricken aircraft after radio contact was lost shortly after take-off. A lot depends on the contour mapping. This will allow the towfish to be operated safely in a part of the ocean that had remained largely unexplored. The mapping was carried out by Zhu Kezhen, a Chinese naval ship, and Fugro Equator, a specialist vessel contracted from Fugro, a surveying company based in the Netherlands. The ships are fitted with hull-mounted multi-beam sonar systems. Sonar has long been used to measure the depth of the ocean by transmitting acoustic pulses and listening for the delay in their echoes from the sea floor. The multi-beam systems used by the survey ships allow much wider areas of the ocean floor to be covered in less time. The ships are also equipped with a differential global positioning system (GPS), which can provide their location to an accuracy of 10cm. (A typical GPS in a car is accurate to about 5 metres.) This has enabled the vessels to produce a detailed “tapestry of the sea bed,” according to Rob Luijnenburg of Fugro. It reveals a dramatic subsea environment. In one place, near Broken Ridge, the depth is 600 metres but in a short distance falls away to 6,600 metres. The towfish will be trailed through the water by Fugro Equator, its sister ship Fugro Discovery, and GO Phoenix, a vessel contracted by Malaysia. The two Fugro ships will operate EdgeTech DT-1 towfish and the GO Phoenix will use a SLH ProSAS-60. They will be towed about 150m above the ocean floor by armoured cables through which data is transmitted to the surface. The towfish also use multi-beam sonar but are also equipped with synthetic aperture sonar, which combines a large number of acoustic pings transmitted from the side of the vehicle to build up an image with a much higher resolution. Such equipment has been improving rapidly and the gear has already been used successfully in other locations to find aircraft wrecks from the second world war, such as a US Navy Hellcat discovered in 300 meters of water off the Californian coast at a range of 500 metres from the towfish. The towfish also carry cameras and lights. Furthermore, the Dutch ships will deploy hydrocarbon sensors based on “sniffers” used by the oil industry to detect leaks. They are sensitive enough to discover aviation fuel at just a few parts-per-billion. The towfish are capable of operating at the great depths found by the mapping survey, and a spokeswoman for the Australian Joint Agency Coordination Centre, which is managing the search for MH370, says there is “cautious optimism” that this time something will be found. Still, the search remains a colossal undertaking. Much will depend on the continuing analysis of the satellite links. These are used to transmit audio communications and routine aircraft-systems data. But a position can be estimated from them. As an aircraft moves in relation to the position of the satellite, there are tiny variations in the arrival time of the transmissions, which can be used to infer its distance from the satellite. Changes in frequency allow investigators to take advantage of the Doppler effect, best known as a change in the pitch of an approaching ambulance siren, to estimate speed. Even though no satellite communications were made, MH370 still automatically connected to it at regular intervals. These so-called “handshakes” confirmed that the connections were still operational. Data from them have been examined further with the help of experts from America and Britain, to rule out small frequency variations that can significantly affect where the flight path might have been. The experts have also studied new evidence about a failed call to the aircraft made on a satellite telephone by Malaysian Airlines. This too has helped to refine the location where the aircraft may have come down. The seventh handshake came after seven hours and 38 minutes of flight (with nothing heard from the crew for the previous seven hours). The investigators now seem to be convinced that this signal was in response to an interruption in the aircraft’s power supply. Having flown for so long, the engines would have run out of fuel—and it is the engines that drive the aircraft’s main electrical generators. Aircraft makers plan for what are called “flame-out” scenarios, in which the engines shut down, expecting that the crew will be left wrestling the aircraft—now a very heavy glider—towards a safe landing. Hence there are backup systems to provide some electrical power for essential instruments. In the event of both engines failing, the Boeing 777 deploys a “ram air turbine”, which is a windmill-like device that extends from the side of the fuselage into the slipstream. Turned by the passing air, it can generate limited electrical and hydraulic power. Next, the auxiliary power unit (APU) would automatically start. The APU is a small engine in the rear of the aircraft, which usually provides power when the plane is on the ground. It is thought that starting the APU brought the aircraft’s systems back to life and initiated the seventh handshake with the satellite. The APU takes one minute to power up; after another two minutes 40 seconds, a satellite message is sent. As the investigators believe the pilots were somehow incapacitated, this means the autopilot would have been disengaged for almost four minutes after both engines flamed out. This, it is thought, may well have resulted in MH370 entering into a spiral descent towards the ocean. But investigators are a long way from being sure. The three ships have been contracted for a year to conduct the new search. If they find any wreckage from MH370, then an attempt will have to be made to locate and recover the aircraft’s flight recorders. Only then might it be possible to determine how a modern airliner could vanish so mysteriously. It is not just grieving relatives who want answers, but airlines too. This article was published in The Economist on 6th September 2014. See this link.